Market research is the systematic gathering, recording and analyzing of market information. It is easy for you to do, it is inexpensive and it is accurate. If you do your market research before you spend time and money on your web site or advertising you will improve your marketing R.O.I. (return on investment). --- Market to make money from lifetime customers. 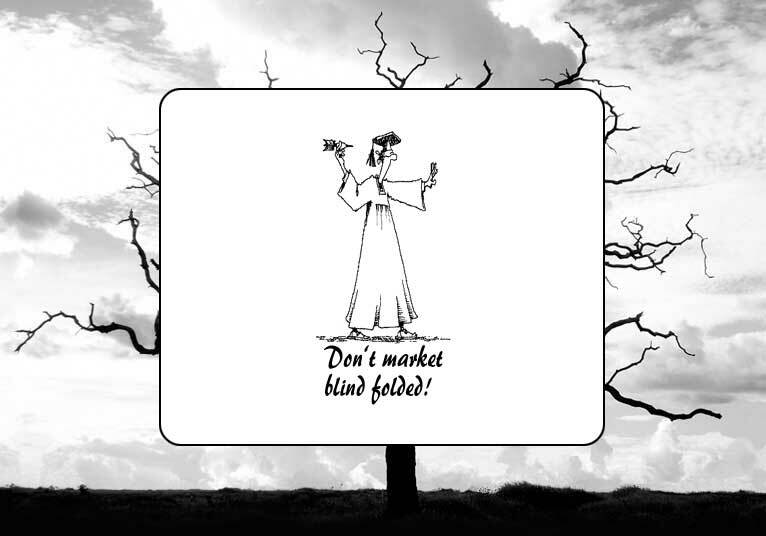 Lack of market research means you are marketing blind! Marketing blind is the number one reason why marketing fails! Marketing without knowledge practically guarantees failure! Learn how to get more customers. Quit wasting money on poor advertising. Learn and understand your market. Identify and profit from opportunities. Market to bring in more profitable sales. Spot problems and potential problems. Learn how to keep customers happier. Have you bought advertising and it didn't work out? If you answered yes ... before you swear off advertising, you should learn why 80% of ads don't work and how to get the results you need from "Market Research for Your Business." Advertising or building a web site before researching the market is like putting the cart before the horse. No smart business person throws money at something they know little about. All successful marketers do market research first ... to learn exactly who their best target market is ... what they will respond to ... how they can be reached ... what they want to buy ... and much, much more! That is what makes them successful! How to identify your best target market! What really motivates your customer's to buy. How to get more people to buy! This information will show you how to create marketing that really works without "guesswork" and "Trial & Error." Learn how to " Focus" in on your best target market with - Market Research Information. WHAT IS TESTING WORTH TO YOU? Market research is testing your brochure, print ads, direct mail, web site, flyers and other media such as email. What is testing worth you, your business, and your sales? Your minimum R.O.I. should be 2 to 1 but your overall "target" R.O.I. is 10 to 1. *Do not include overhead in ROI. What type of people make up the market for what you offer? What type of people make up your current market? Are you in the market you want to be in? What is their "Customer Profile"? Are you offering the right products or services? How do they perceive the value? How to price what you offer? Why have customers left you? What do they "think" they are buying? What offering is most popular? What offering is most profitable? How do your customers think about them? How can you compete and win? What attracts new prospects to you? What would they respond to? Are your marketing philosophies on-track? Are your ads targeted correctly? What influences them to purchase? What influences them to re-purchase? What influences them to refer friends? Why some buy from you? Why some buy from other companies? Are all people the same as you? Then why do you use yourself as a guide? Never use an employee as a guide. Never use a single person's input to decide any marketing issue. Don't use slang and don't use industry terms in your marketing. Never assume you know what your customer's needs are. More importantly --- don't assume to know what motivates your customers. Learn your customers pain, fears and desires. Learn how to make your company different and better. site or ad unless you do your market research.